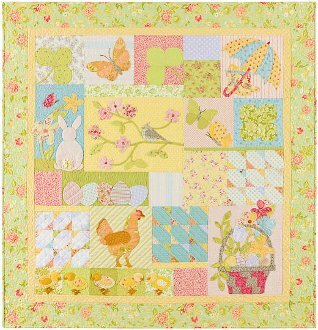 A Graceful Spring is one of our four seasons block of the month heirloom quilt patterns. Chicks, spring blossoms and rainy days are perfect to decorate your home for the Spring. 50 1/2" x 52 1/2"